MS0002 – MOSQUITO SHIELD™ FAMILY FORMULA – PUMP SPRAY – KUUS Inc. The Family Formula is ideal for families that enjoy camping and other recreational activities. The Family Formula is non-greasy and non-staining that can also ensure that children are protected against bites from various insects. Patented cap comes with a fully functional compass and whistle for emergencies, as well as a carabiner hole for transportation. Wash whistle thoroughly before using. 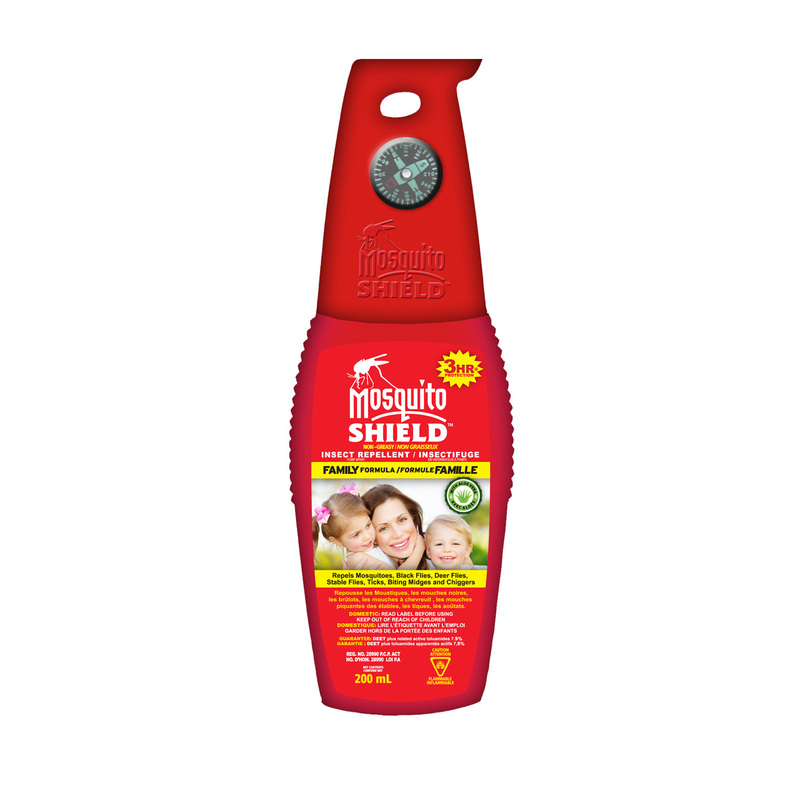 DIRECTIONS FOR USE: Mosquito Shield Family Formula Insect Repellent Pump Spray with Aloe Vera repels mosquitoes for 3 hours. Also repels black flies, biting midges, deer flies, stable flies, ticks and chiggers. Non-greasy. Won’t stain. Apply sparingly but not under clothing and only when necessary. Reapply after 3 hours if necessary. Hold container upright and spray clothing and exposed skin, except face.